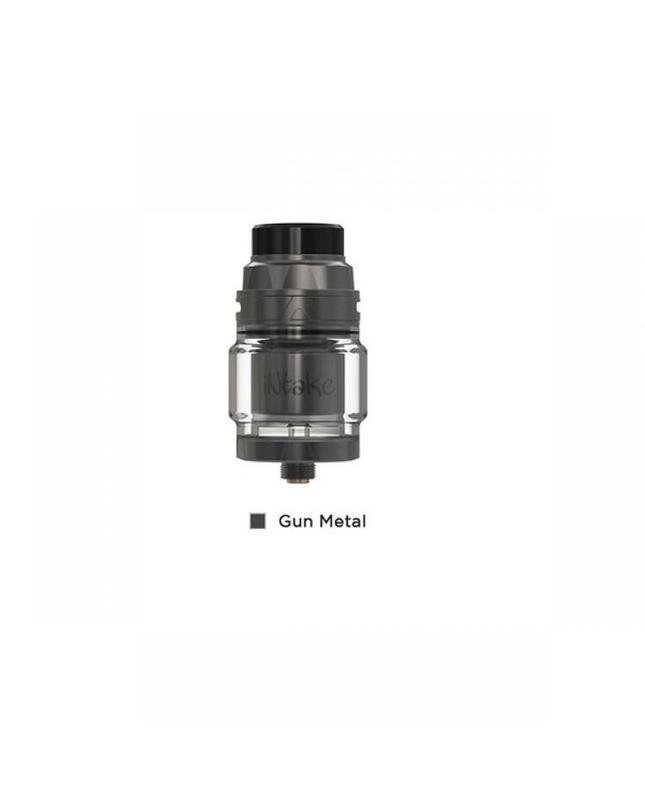 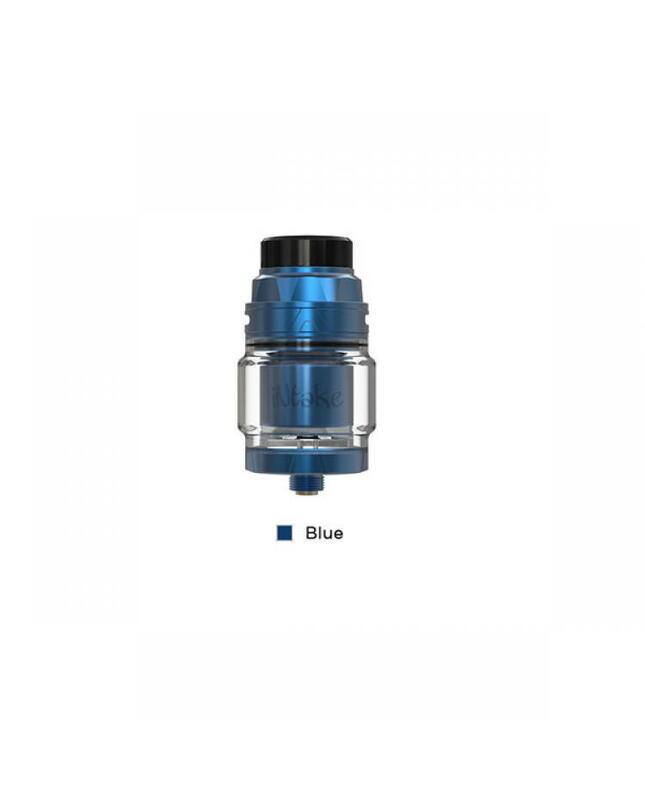 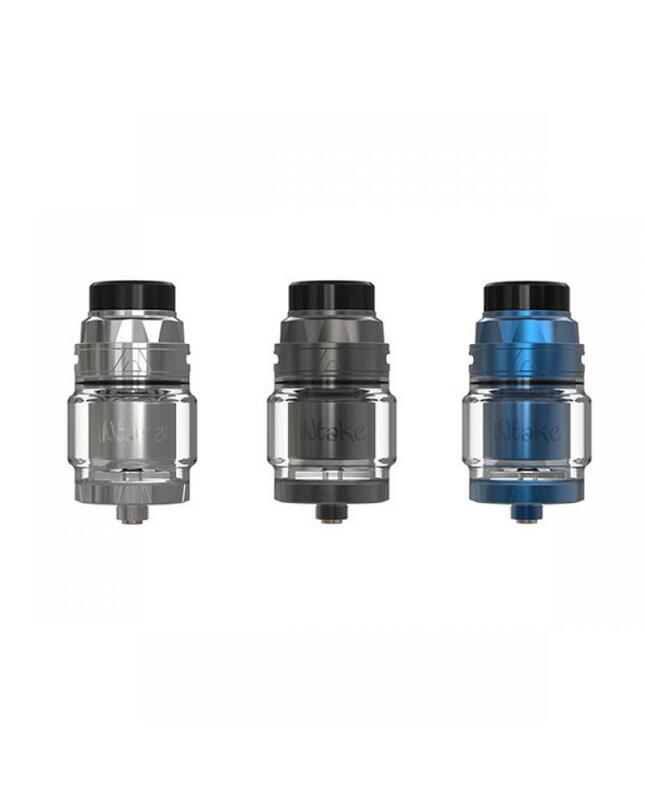 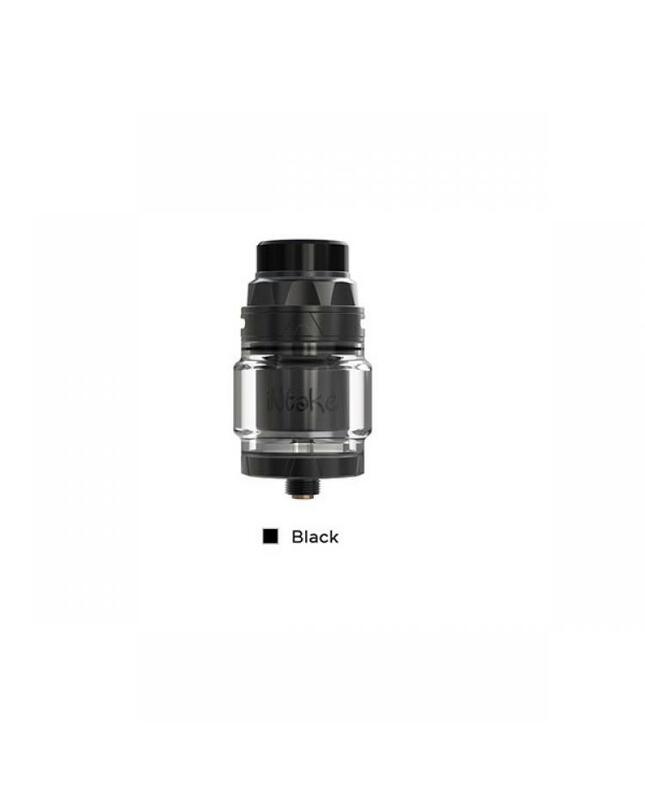 The Augvape Intake 24MM RTA Tank, made of high-quality stainless steel and pyrex glass,4 colors available, the new augvape RTA can hold 4.2ml e juice, comes with 4.2ml bubble glass tank and 2.5ml straight glass tank, the build deck has two posts with open channels which you can easily put your coil in,the two post building deck makes it easy to place your coils and the two air tubes on the building deck brings direct airflow underneath the coil to maximize flavor. 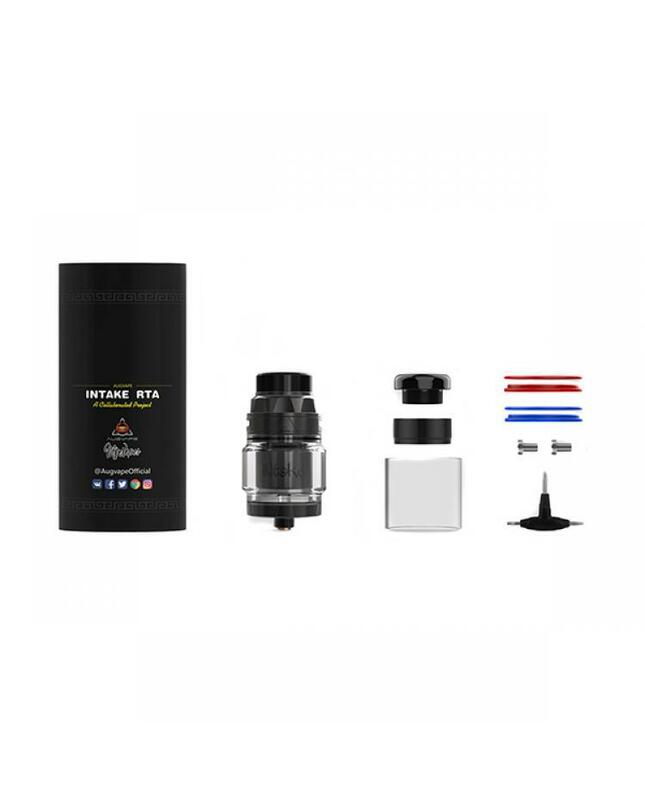 it supports single coil only. 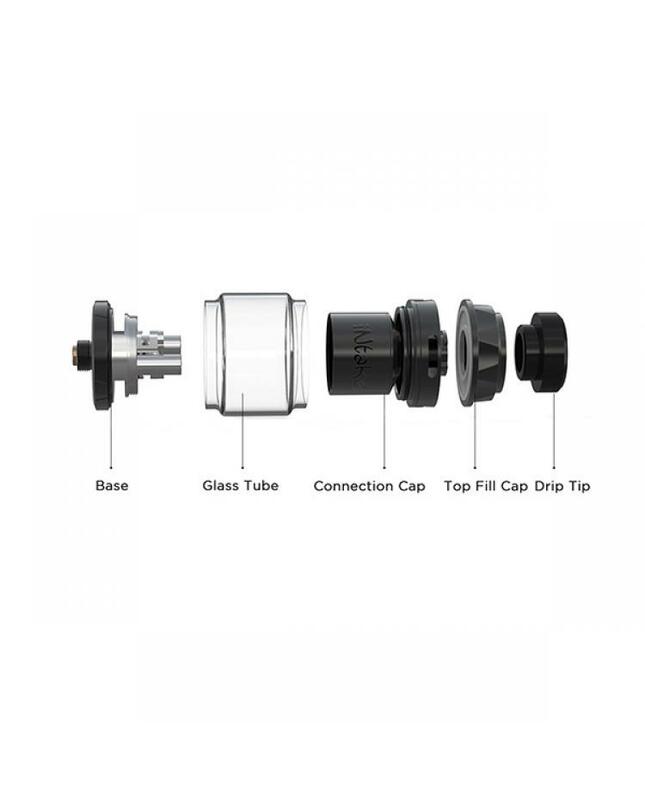 the bottom airflow direct to the coil design, and vapers can adjust the airflow to your preference.